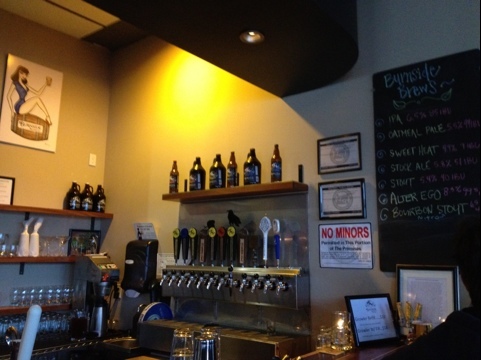 We came to Burnside Brewing on a Friday night for happy hour. FYI, there is no happy hour on Friday or Saturday night. Oh well. 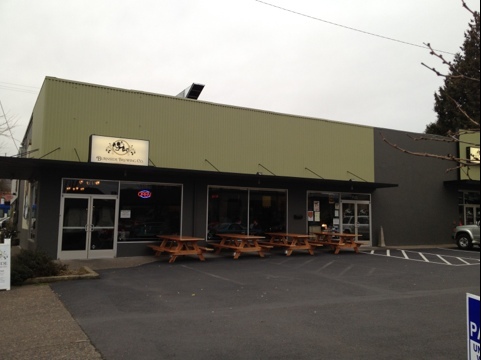 No worries, because honestly, we thoroughly enjoyed the atmosphere of this east side brewpub: good music, mood lighting, local art displayed on the walls, open-air ceiling, large cozy booths, hops hanging from the beams, and plenty of bar and tabletop seating making this a great hangout. Since it wasn’t happy hour, we split a grilled cheese with fries – excellent. 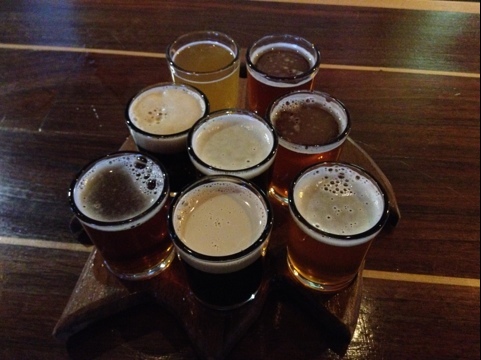 One small downfall…only one of us liked their beer. Full bar available with a great selection of top shelf scotch, bourbons and vodkas to remedy this situation. 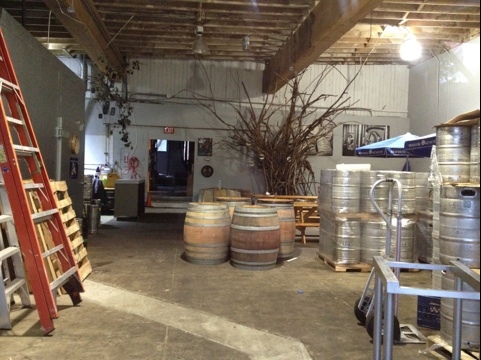 This would not be our first choice for having a beer, but we like the space, so it’s worth checking out. 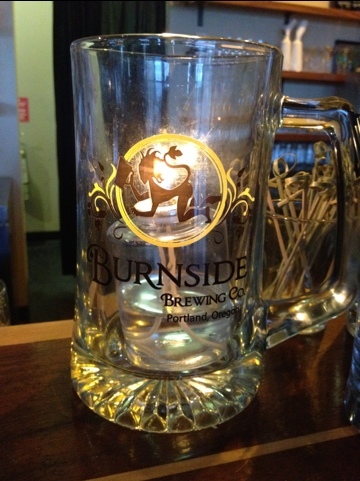 Chris S. is drinking a Permafrost at Burnside Brewing Co.
Mr G. is drinking an India Pale Ale at Burnside Brewing Co.
Mr G. is drinking a Burnside Pale at Burnside Brewing Co.
Mr G. is drinking an Isomer IPA at Burnside Brewing Co.
Mr G. is drinking an IPA at Burnside Brewing Co.